Despite a poor-offense effort, Ohio (23-10, 13-7 MAC) was able to defeat Miami (13-18, 9-10 MAC) 63-55, and extend their season by at least one more game. 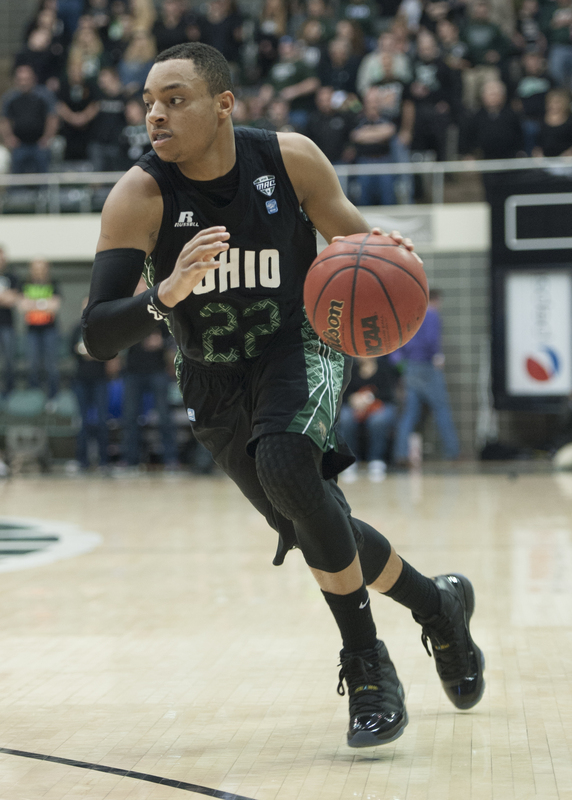 The first half seemed to have followed Ohio’s theme of first halves all season long: ugly. The Battle of the Bricks lived up to its name, as there many bricks on both ends of the court. Both teams shot under 30 percent from the floor, including a combined 6-28 effort from the behind the arc. 20 fouls were called between both teams, with Ohio getting in the bonus in the first 10 minutes of the ballgame. Not much changed in the second half, but the Bobcats were able to match each run by Miami with a big shot of their own. Every time it seemed like Miami would comeback or push a lead, Ohio would answer. Back-to-back three pointers from guard Stevie Taylor with just under 10 minutes, put the Bobcats ahead as it seemed like Miami was pulling away. A couple of minutes later, with Miami looking to pull away again, guard Bean Willis, similar to Taylor, hit back-to-back three pointers to once again put Ohio ahead of Miami. And with the Bobcats having a plethora of confidence, their run of big shots continued during crunch time. After Miami forced a 10-second violation, the RedHawks could not capitalize on the mistake. After a Miami missed lay-up, forward Maurice Ndour hit a hook shot with the shot clock running down to give the Bobcats a three point lead. Miami would cut the lead back to one after guard Geovani McKnight hit a pair of free throws. The Bobcats faced the same full-court defense that caused them into the 10-second violation, but this time, they executed the press breaker perfectly, leading to a Nick Kellogg and-1, putting Ohio ahead by four and the game out of reach with 22 seconds left. Kellogg, who is playing in his fourth MAC Tournament, had one of his best all-around games of the season. Despite a 1-8 shooting from on 3-pointers, Kellogg made up for that by attacking the basket. He finished with 20 points, seven rebounds and four assists. Ohio will face Akron in the quarterfinals, tomorrow at 6:30 p.m. Both of the road teams won their match-ups against each other this season, with Akron defeating Ohio at the Convo on Jan. 12th, 83-80 in double-overtime, and the Bobcats blowing out the Zips 66-50 at the Jar on Feb. 22. ← The Girl in the Pressbox: Why Barbie and Sports Illustrated?